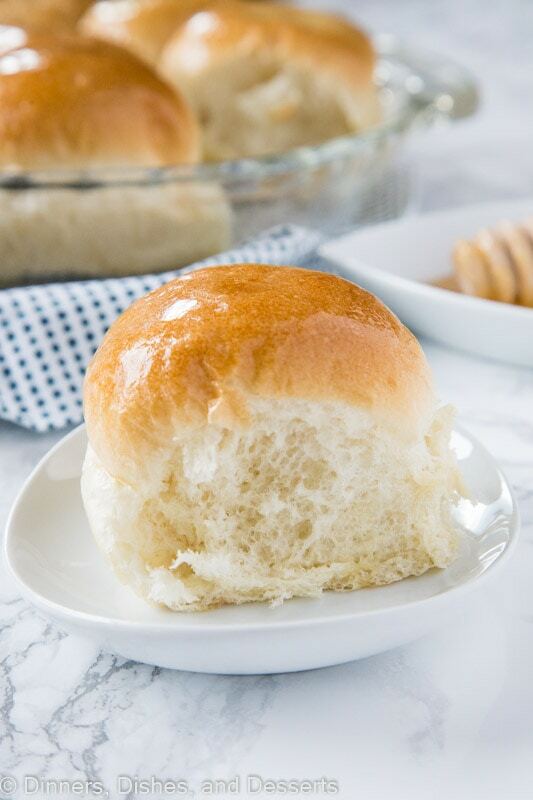 Honey Butter Dinner Rolls – A light and fluffy homemade dinner rolls recipe that goes with just about anything! One of the best parts of dinner is the bread! 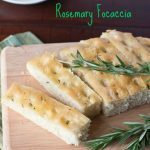 It can be Cheesy Garlic Bread with pasta or it can be dinner rolls with a fancy holiday dinner. But bread and carbs are pretty much my favorite. I mean, these Easy Biscuits are pretty much on repeat at all times. For the holidays I like to make a Prime Rib and then serve with dinner rolls on the side, along with all the other traditional sides. But these homemade dinner rolls are great for more than just holidays! Pork chops on the weekend? 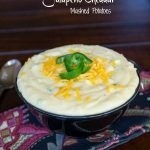 Making your favorite Broccoli Cheese Soup? These are perfect! These homemade dinner rolls are ready in about an hour, which is great for any day of the week. 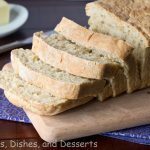 They do use yeast, but trust me they are easy and fool proof! The nice thing about making dinner rolls vs homemade bread is the rise time is less. You shape them in to small balls of dough, and those rise much more quickly than a loaf of bread does. The touch of honey gives these dinner rolls and light and slightly sweet flavor. 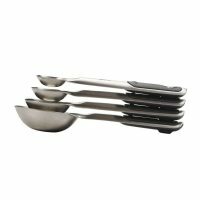 They are super slight and fluffy and great for just about any meal. These Potato Rolls are another great option that will surely impress! There is no mixer required to make these rolls, you just whisk together in a bowl. Let the dough rest for 10 minutes. This allows the yeast to work and the rolls to rise and get nice and tender. Shape the dough into 12 small balls of dough. You can make larger rolls if you want too! Let the rolls rest again and double in size. They will be nice and fluffy. Bake until golden brown and delicious. Brush with melted butter to serve for extra deliciousness. 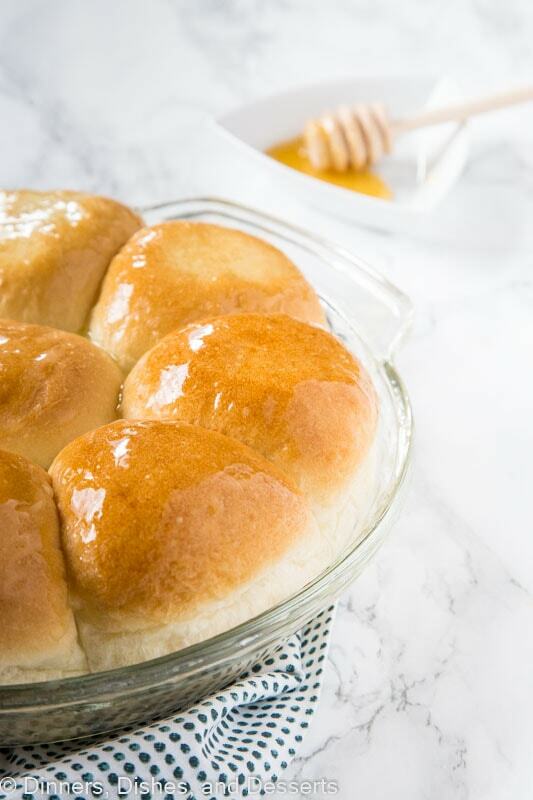 Honey Butter Dinner Rolls - A light and fluffy homemade dinner rolls recipe that goes with just about anything! In a large bowl, combine 1 1/2 cups flour, sugar, yeast, garlic powder, onion powder and salt. Add water and 2 Tbls butter. Beat for about 3 minutes, until smooth. Using a spatula stir in enough of the remaining flour (1/2-1 cup) to form a soft dough. Turn the dough onto a lightly floured surface. Knead for 4-6 minutes, until smooth. Add additional flour if the dough is sticky. Cover and let rest for 10 minutes. 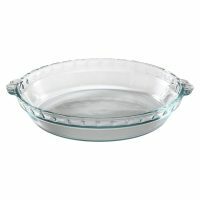 Spray a pie plate or other round pan with non stick spray. After the dough has rested, divide into 12 equal portions. Roll into balls, and place in the pan. Cover and let rise for about 30 minutes, or until doubled in size. Preheat oven to 375 degrees. Once the rolls have risen, bake for 11-14 minutes, or until lightly golden brown. In a small bowl combine 1 Tbls butter, honey, garlic powder and onion powder. Heat for a few seconds, so it is thin. Remove rolls from the oven, and brush with the butter honey mixture. Let rolls cool until the glaze sets. Then serve. Oh I love, love, love fresh bread and these look perfect. I might make a batch for some sandwich rolls this week. oooh – these rolls look so good – so fluffy! Beautiful pics, too – great pick for this week! These rolls look absolutely wonderful!one of Carla’s recipes was definitely a good choice. One of these days I need to try my hand at homemade rolls. These are probably the perfect recipe to start on. They look so light and delicious. 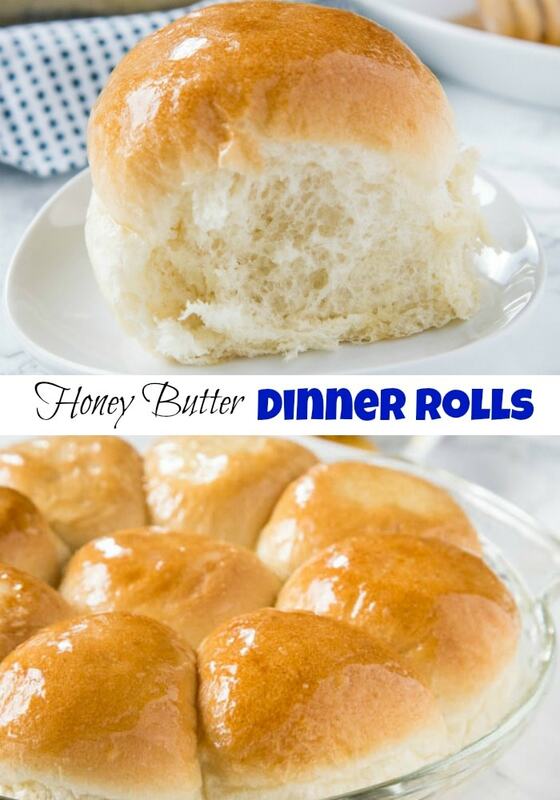 I love homemade rolls and the honey butter sounds incredible! I love homemade rolls! Erin and Carla, these looks fantastic and my family will anxiously await these to arrive to the table..I can only imagine the smells in your homes of fresh baked rolls was a bonus. I love the flavors of these rolls! They look amazing!!! Nothing beats the aroma of bread goods baking. These rolls look so delicious. Oh my gosh!! All I can say is I want some right now!! These rolls look so soft and perfect! Definitely keeping this is mind for next time! What a fantastic recipe choice for this week! Don’t they look good! Yum! 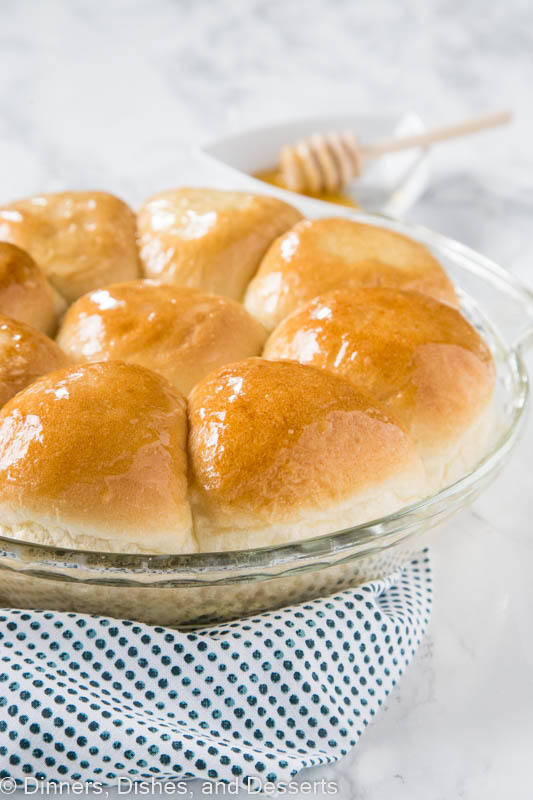 I can never have too many dinner rolls recipes, and honey is one of my favorite ingredients. So naturally I LOVE these rolls! Delicious looking. Have a nice sunday Erin! 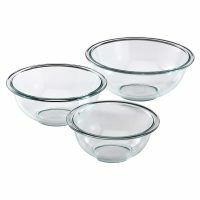 These would be so amazing with any dinner. Nice pick for this week!! 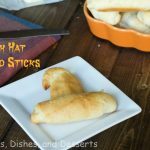 I love this recipe and can’t wait to try making these rolls. You made them looks amazing! 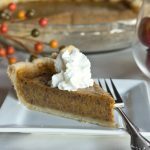 I am so glad you are part of #SundaySupper and love your recipes & inspiration. Looking forward to another amazing year! I can smell these baking. They remind me a bit of the buns at Texas Roadhouse. Yum, these rolls look awesome! These look good…honey butter is my favorite! Land o Lakes was my first #SS event too…joining this group is one of my best decisions of 2o12!! These have been on my to-make list for forever. You’ve inspired me to make them with our dinner tonight! 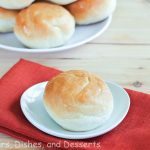 I’ve never made dinner rolls but everytime I see it I crave a nice big warm bite 🙂 These look absolutely delicious!! These look so good! I imagine they smelled awesome while baking too. Yum! I love making bread, but I hate how much time it takes! These sound awesome – and so quick! Holy cow I want some of these now! 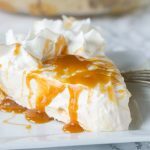 Love rolls and with the added sweetness of honey, yes please! 2 dishes full. One for me and one for everyone else to share! These look so light with melt in your mouth goodness! I would love to try this recipe! Thanks for highlighting it!! I have the feeling these delicious looking rolls would be quite dangerous to have around. I could probably eat a half dozen without blinking! Oh these rolls look so soft and yummy! Mmmm! These look perfectly delish and would have a hard time eating just one! Your rolls came out looking so fluffy and perfect. I have a weakness for fresh baked goods, so I knew I was in trouble when I kept going back and looking at the picture. Even worse–I have everything on hand to make these for tonight’s dinner. Ugh. Someone will need to stop me before I eat the whole pan! Mmm…. can almost smell the rolls ! all those flavors sound so wonderful ! Yummm ! 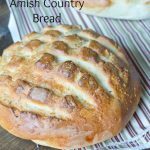 I love dinner rolls, these look incredible! What a simple recipe, I bet even the girls and I can make these. I would win major points for this recipe. I’ve made lots of breads (loaves) but not rolls…yet. These quick ones look like a good recipe to start with. Mmmm buttery goodness. These rolls look PERFECT and delicious! I could seriously eat bread and butter all day. . if that was acceptable and ok 🙂 thanks for sharing this, yum!!!! I love making my own dinner rolls, your look so good Erin! would love one right now! Oh, yeah…you picked a winner! Nothing better than soft, tender rolls fresh from the oven!!! 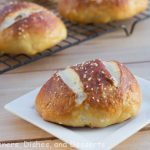 These rolls look fantastic…candidly whenever I see a recipe that call for active yeast, I don’t consider it (my cooking talents are limited), but these look tempting! I can only imagine how fantastic the combination of the sweet and savory ingredients are in these rolls! I cannot wait to make them! Just wanted to say I ended up making these tonight for dinner, and they were a huge hit! Super easy to make too. Thanks! Yeah!! So glad! They were easy, I will be making them again soon too! our dinner table has been totally lacking in the dinner roll compartment. These look fantastic! I never make homemade rolls and I really need to change that! These look great! Love the honey butter! These look SO GOOOOOD Erin!! I’m dying to make dinner rolls. Dinner rolls are such bad news when I have them near me! Haha, they definitely disappear quite quickly! I love homemade rolls! Love the honey butter glaze! These rolls look so soft and fluffy! The honey butter glaze sounds fantastic! I joined Sunday Supper at about the same time and like you, I can’t believe it’s only a year old! Isabel has accomplished so much with it in just one year. You picked a total winner to make for this week – man oh man do I love carbs! And Carla of Chocolate Moosey can do no wrong. Your rolls look perfectly soft and delicious. I wish I had a pan of these right now! 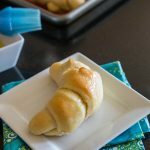 Love the idea of using Honey on this Butter Rolls. Will try it out soon! I really need to get into making dinner rolls. But it’s such an after through for me. Cooking for one is hard enough and with all the leftovers I don’t really need more. But it would be nice to have some extra sides with my meals. I could always freeze these. Just pinned them! They look awesome! I have a honey dinner roll recipe I swear by but it’s not a 1 hour roll. Ironically I just made 1 hour pretzels. Your rolls look fabulous! Great job on the rolls. Beautiful! Oh what lovely rolls. They now are on my list to make. You can never go wrong with making a Carla dish! These rolls look FABULOUS! mmmmmmm honey and butter. Perfect combo! I must admit that fresh rolls are a weakness…these look wonderful! 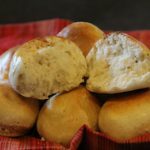 Thank you so much for this recipe – I’ve never been able to make dinner rolls that were light and fluffy, and these were both. Big hit at my Easter table – thanks again! These look really good, super moist! These look incredibly sumptuous.I hope when I make some they turn out looking like yours.They would be a special treat with a nice family meal.I am sure this takes a special Knack too. 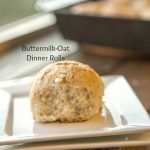 I am a sucker for a good dinner roll – these look so light and delicious -pinning for later! Yum! My mouth is watering just reading this! Adding homemade rolls to the dinner table just makes the meal complete! Love them! They look so light ad fluffy! Picture perfect! These Honey Butter Rolls have me weak in the knees!!! All I can say is I would love them right out of the oven. Delish!!! I am a sucker for a good roll with dinner. I just can’t help myself. These are the BEST dinner rolls EVER!!!! I’ve made them a couple times and my family always loves them! Is dinner really complete without a tasty roll? Not at my house ! I can’t resist a dinner roll. Then you upped the ante with honey butter. Yummmmm! 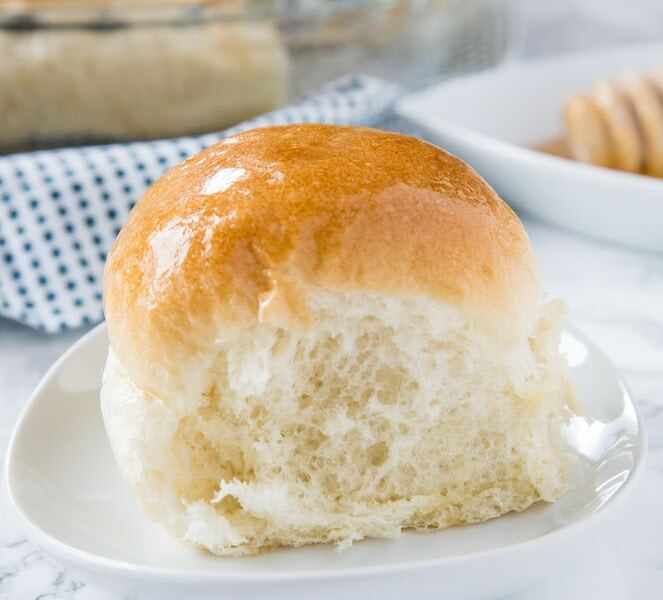 Honey and butter make for the most perfect rolls…these look fantastic!! Homemade rolls are the BEST! These look so fluffy! These rolls look so good! I love the sound of them!